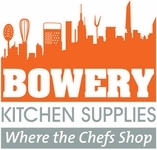 Please email us for a free quote at Bowerykitchen@yahoo.com. Today’s kitchen is not only the focal point of the home, it is a reflection of the discriminating owner’s taste for functional beauty. Northland built-in custom refrigeration systems for the home lead the way in satisfying these high expectations. This is because only Northland can design and custom build a refrigerator that offers the ultimate in performance, convenience, and true integration with any kitchen motif. See some pics and get design help, then choose a model and email us at bowerykitchen@yahoo.com for a free quote. Click the pic to visit manufacturers web site.